Keith Assante - Edwards Electronic Systems, Inc. 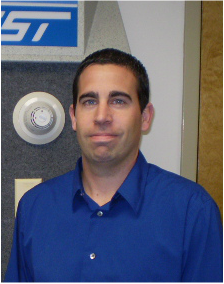 In 2003 after serving as an electronic technician in the US Navy, Keith began his Fire/Security Industry career in Long Island, NY. In 2007 Keith and his family relocated to North Carolina where he accepted the Service Manager position with EES. Keith is NICET certified and factory trained on all EST fire products as well as the Casi Rusco Facility Commander Access Control system. He also has experience working with other fire/security systems including Notifier and FCI. Keith lives in southwestern Wake County with his wife and two children.